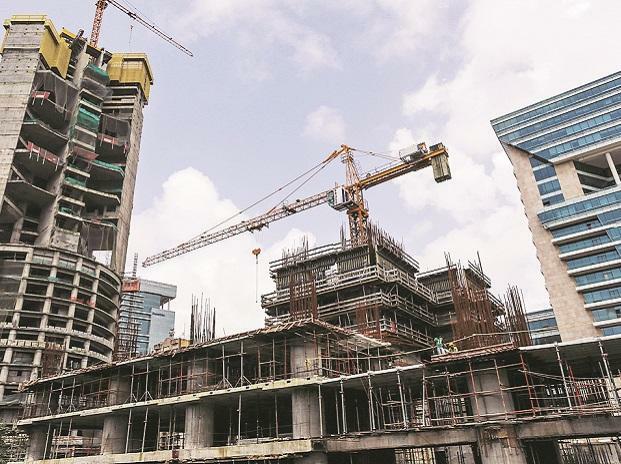 Shares of Godrej Properties surged 6 per cent to hit its fresh high of Rs 968 in early morning trade on the BSE on Friday after the Mumbai-based real estate developer announced the addition of a new residential project, in Vashi, Navi Mumbai. Earlier on April 3, Godrej Properties had said that it had entered into a joint venture with a renowned developer to develop a 4.25 acres sea-facing property in the prime suburban micro-market of Sandra West, Mumbai. The project will offer approximately 1 lakh square meters (approximately 1.1 million square feet) of saleable area and will be developed as a luxury residential project, the company had said in a press release. Meanwhile, Godrej Properties has also increased its equity stake in Wonder Space Properties Private Limited from 25.1 per cent to 96.03 per cent by acquiring equity shares from Shubh Properties Cooperatief U.A. Wonder Space Properties Private Limited is engaged in construction and development of land situated in NCR. Consequent to the above acquisition, Wonder Space Properties has become the company's subsidiary with effect from April 4, 2019. In the past four trading days, Godrej Properties has rallied 19 per cent after recording its best-ever quarterly sales performance in the January-March quarter (Q4FY19). In comparison, the S&P BSE Sensex was up less than 1 per cent during the same period. Godrej Properties had sold over 2,900 homes with a total area of approximately 3.75 million square feet and a booking value in excess of Rs 2,100 crore during the quarter. Q4FY19 was the company’s best-ever quarter for bookings, eclipsing its previous best ever residential sales quarter, achieved in Q3 FY19, by approximately 50 per cent.